Thrive Outdoors instructors have years of experience working with teens, and are dedicated to helping them (and their families) through what is often considered the “toughest age." Our Teen programming offers teens a place to retreat from the stresses of everyday life, learn from each other and from passionate instructors, and gain a bigger picture mindset. Thrive Outdoors programming is modeled after the real world and the groups are dynamic, often changing and growing with the needs or desires of the participants. 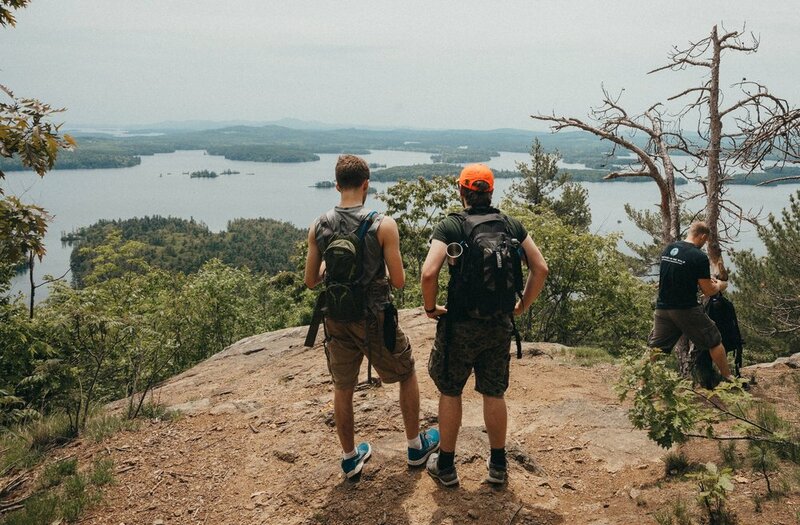 Thrive Outdoors focuses on staying positive and learning to move forward no matter what life throws at you, and our Teen Adventure Groups are one of our clearest models of this. In any of our teen groups, participants will have the opportunity to learn communication, critical thinking, acceptance, tolerance, stress management, and ways to foster a positive mindset in everyday life. They will also gain survival skills, team building and leadership skills, new friendships, and a better understanding of how important they truly are to this world. TAG groups meet regularly 8 months out off the year. But our "off" months are filled with opportunities to meet and adventure. TAGgers are encouraged to join our monthly full moon hikes, keep on the look out for our adventure trips, and stay in contact with instructors / group members on the off months. Many of our off-month adventures are free or discounted for TAG participants. For information about our regularly scheduled groups, visit our events page, or to start a T.A.G. group in your area, please contact us. Or sign up today, here!